Social bookmarking is an effective social media tool which has become an integral part of SEO campaigns to increase the occurrence of one's website in order to increase the visibility and traffic. Social bookmarking service facilitates users to tag websites with relevant keywords so that they can store them easily. The main feature of sharing bookmarks with the other members in the social groups is what makes this strategy effective. This results in high ranking websites being linked back to your main website, thus increasing the number of high quality links, as well as keyword importance related to your domain. 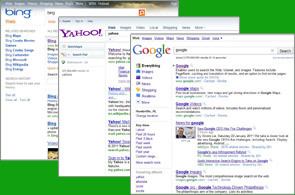 We bookmark your website (based on the package desired) to Top Ranking sites like Digg.com , Stumbleupon.com , etc. We then provide a detailed report of the confirmed links to your website.